Seventh graders Caylie Jiang-Kahn, Lauren Blindell, and Sabrina Robinson are making a movie about their friendship when a dirty stray dog shows up and ruins the day. In frustration, Lauren mutters, "Oh phooey," which leads to the girls naming the dog "Phoo". When Phoo is caught and taken to the animal shelter, the girls agree to foster him until he can be adopted. They immediately notice something strange. Every time the dog is around, lucky things seem to happen. The moment he's gone, the luck disappears. What happens when they all need the dog's magic at the same time? 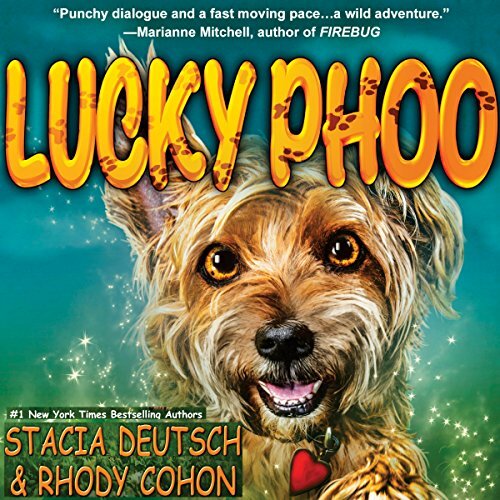 It's up to Caylie, Lauren, and Sabrina to decide once and for all: Is Phoo truly a lucky dog?